Receiving All-on-4 dental implants is a exciting time. Your whole world can change in just one office appointment. A patient will walk away from Arizona Periodontal Group with a full, natural looking smile, that will improve appearance, oral function and overall quality of life. If you are considering receiving this procedure than you probably have many questions. You might be wondering how having these dental implants will change your day to day life and what to expect after the procedure. We hope to address the questions that you may have here, but we recommend scheduling an appointment with Dr. Trujillo where he can answer all of your questions in person. Dr. Trujillo takes great care to make sure that our patients have comfort during and after their procedures. When you receive All-on-4 dental implants, we will administer a sedative as well as pain medication so that you are relaxed and have minimal discomfort. While we are very concerned about your comfort during the procedure we also care that you are comfortable as you are healing. Medication will be prescribed after the procedure as well. It is very important for our patients to take medication exactly as prescribed to reduce swelling and minimize any potential discomfort. After your procedure refrain from exercise, heavy lifting and any physical activity for the first week following surgery. Elevation of heart rate and blood pressure may promote bleeding and delay healing. Check back with us after the first week to see if picking up your regular physical activity level is best for you. Do not smoke for the first week after surgery. Smoking may dry out the tissues and delay healing. It can also cause bleeding for longer periods of time. The specific amount of time needed to rest after your procedure will be carefully monitored and determined by our staff. Recovery time can vary from patient to patient. During the time you are recovering you will be give instructions on which foods you can and cannot eat. You will most likely to be asked to consume liquids such as soups and smoothies. This is because it take time for the jawbone to fuse around the implants. Patients can expect to slowly be able to incorporate non-liquid food items into your diet under our guidance. Remember that we are concerned about your well-being. If you should experience any difficulty during your recovery please contact us immediately. There is always someone on call to answer your questions or to provide you with the care you need. 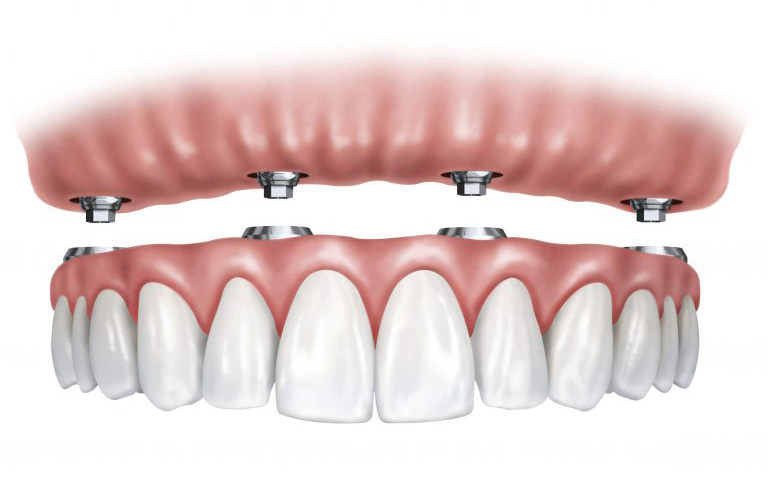 If you are looking for the All on 4 dental implants in Phoenix, call our office today. We look forward to hearing from you soon.